This fantastic garden light is hot dipped galvanised (dipped in molten zinc) after manufacture to ensure that it is truly weatherproof and will last for many years. The appearance of 'runs' and a roughness in the finish is a part of the process and is an intrinsic part of the product. 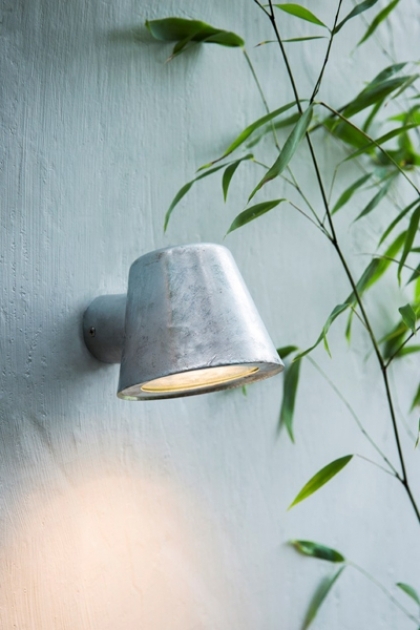 This super stylish wall light is perfect in the porch or doorway - the Hot Dipped Wall Light would be a fantastic way to shine a bit of light on a garden path or patio too. The St Ives range is made for the garden, but we think they make amazing interior lights also.... there are no rules here! Environment: Weatherproof, including in coastal locations.